Crooked teeth are both a cosmetic issue and something that can go on to become a potential health issue. Children and adults can suffer from crooked teeth, but the good news is that the condition can be treated, and anyone can have healthy teeth and a great smile. Crooked teeth are usually caused by the way that your adult teeth grow in one by one after your baby teeth fall out. The adult teeth are affected by the other teeth in the mouth, and this means that they do not always grow in ‘straight’. Adults may find that their teeth become crooked later in life if they experience tooth loss. When one tooth falls out or is extracted, the remaining teeth will naturally start to shift to fill in the gap. This usually leads to them becoming crooked. Sometimes, TMJ disorder or a cleft palate can lead to crooked teeth too. 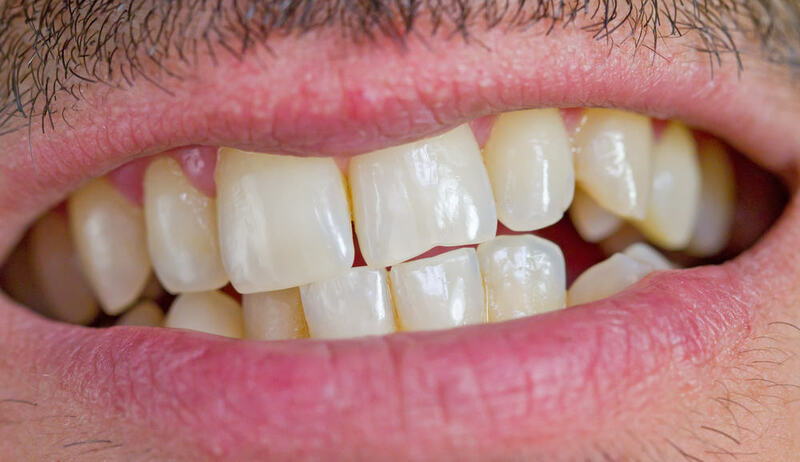 Can Crooked Teeth Cause Problems? Crooked teeth could lead to some unpleasant side effects. When your teeth are healthy and properly aligned, they make it easy for you to eat, speak and perform other day to day activities. Teeth that are crooked, however, do not provide the right support and can lead to muscle and jaw strain. You may also find that you are at greater risk of tooth ache, sensitivity, gingivitis and tooth decay because it is harder to keep crooked teeth clean. Orthodontics is the specialism within dentistry that deals with tooth alignment. Adults and children can both benefit from treatments to bring their teeth back into proper alignment. There are several treatments, including orthodontic retainers, braces, and aligner trays. Historically, people have disliked braces because older models are conspicuous and were uncomfortable. Modern braces are far better for more comfortable, and also look less obvious. Aligner trays are another discrete and comfortable way of treating crooked teeth, and since they can be removed they are convenient in terms of supporting dental hygiene. Another option that is often overlooked is veneers. If you have crooked teeth but they are merely a cosmetic issue, then a dentist may recommend porcelaine veneers to provide a smooth and properly aligned look for your teeth. It is a good idea for children to have regular dental check ups, because crooked teeth can often be prevented if the way that the adult teeth grow in is monitored and managed properly. Regular dental check-ups can flat up potential issues for adults too, and help to prevent tooth loss and ensure that your teeth remain healthy for a long time to come.